Your Career Passion – Risky Business? Note: This post was originally published June 22, 2014 and, due to extraordinary interest on the topic, I am re-posting. In the beginning, you might experience a gnawing, a feeling of frustration, exhaustion or disappointment. It grows in intensity until one day you realize all the energy you put into your work is not enough. It may have been at one time. Yes; at first, it’s thrilling to get a steady paycheck and buy nice things. Or you see your name on the business card, moving up the organizational chart or on a management report you co-authored. Other days, you wonder– will I still be here in another 5 years, doing the same job, in the same office, and working with the same people another 5 years, another 10 years? And you start to take stock of your talents, your strengths and realize you aren’t doing the things you do best and, more importantly, enjoy doing. Your “bucket isn’t getting filled anymore”. And you ask yourself “why”. Or worse, you may have a work “melt down” and realize that you cannot continue to do what you’ve been doing much longer. Folks, that may be the first step of discovering your passion and know you must make a change in order to share that knowledge, expertise or that “something special” that only you can do or you will explode. Your career passion requires you to take a risk. I’ve heard and read, for decades, about people discovering the work passion and I was envious of those who were able to weave their passions into their careers. I didn’t know my passion, much less was able to incorporate it into my career progression in corporate America Fortune 500 companies. Don’t get me wrong. I had a very nice career, got the promotions and moved into bigger opportunities but felt “dead” inside. Only until a few years ago did I discover my passion. And, by the way, it was through a perfect storm – a combination of a personal and career crisis. I asked the question you may be asking yourself. In my case, I longed to trade my world of managing by mile-long spreadsheets and spending hours on conference calls for real relationships with individuals and small groups to enhance their careers. Bottom line: don’t miss the opportunity to find your passion. It could lead to bigger and better things. There are lots of books on the subject of career passion. There is even more information on the internet. When I googled the topic, I found 179 million references. Want someone to guide you through the discovery and identity process? I believe in the transformative, life changing power of career coaching. I benefited from a career coach to steer me in the direction of doing the same – to help job seekers by using all my experience in human resources and recruitment from being on the other side of the desk. I coach from the inside out, to educate, encourage and empower you. I believe in employing new ideas, connecting you with new people and helping you fall in love with your career – again. Let’s connect all the dots and get you hired into your ideal career. 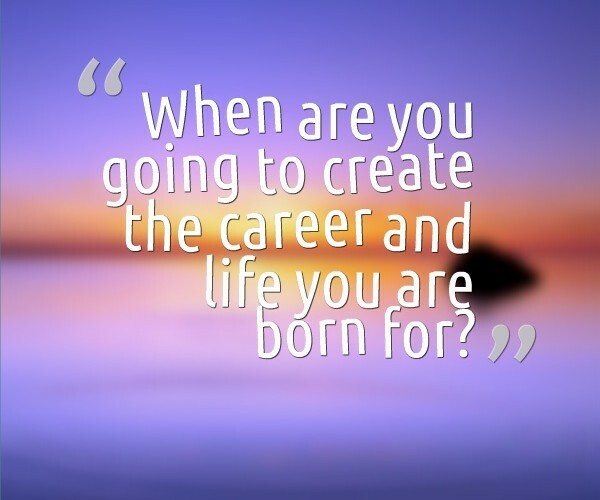 Contact me at Patricia @ CareerWisdomCoach.com . ← Can Emotional Intelligence get you hired? The Harvard Business Review thinks so. Very well said and powerful because you have opened up and shared about your own experience of working for a company and at the same time discovering your passion. My question is, Do you re-invest that passion in your present job as well as use it to create a new opportunity that may expand in the future? How do know when to end one and give increased energy to the other? How long do you hang on if the job you are in is no longer challenging? I agree these questions are answered from the inside which is how you help people. You do this best because you share from your own experience. Thanks, Gary. Everyone’s situation is unique. My discovery of my passion came at a critical point in my career and I think I am more effective since I use my new skills and abilities in my current role. For some, the discovery of their passion may lead to a career transition – we all have a different “story” to live out. One last thought; you are never too young or too old to discover your career passion and what brings joy to your “work” life. The pursuit of that answer is well worth the effort and risk. Patricia, I feel like you are speaking directly to me. I am taking the first steps on a new career path( applying to school) and feeling excited, apprehensive, hopeful and doubtful all at the same time. It is difficult to realize that all the training and experience you have gained in one career, may not be useful in a new career. You really have to make peace with that reality in order to move on to the next phase. Keep up the great advice!